We bring high performers to another level. The power of the brand. A global network. An unparalleled toolset (think CBx, Global Luxury, CBU). All connected by the Gen Blue culture. It’s not just a nice story. It’s what sets us apart and drives your success. Below is just 9 out of a million reasons on how we bring high performers to another level. 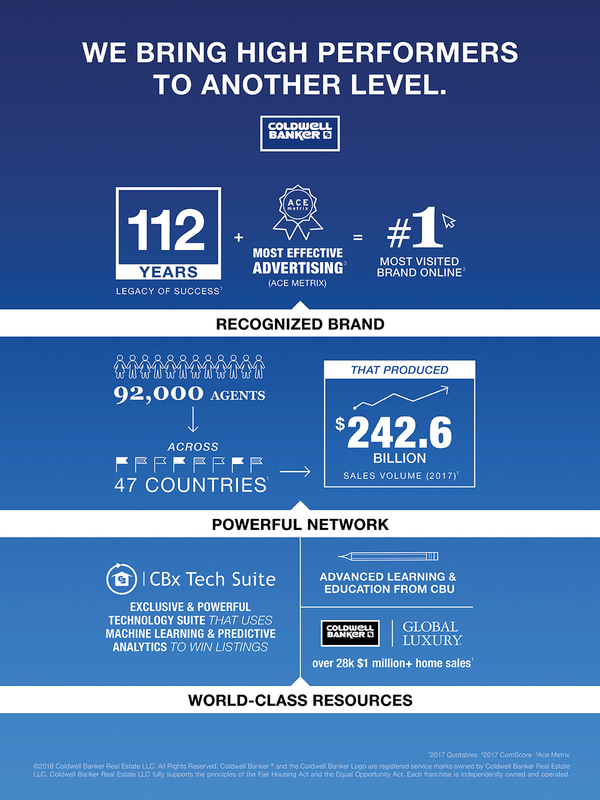 Visit ColdwellBanker.com to learn more. Christian is the Manager of Social Media for Coldwell Banker Residential Real Estate. This role also includes media buys for TV, digital, search and social. Originally from Miami, Christian moved from Atlanta to NJ in 2015. In his spare time he enjoys traveling, swimming (weather permitting) and binging on TV's latest hits.